The reality however has been ignored ,namely that 84% of the contamination originates in Asia Pacific countries, plus another 12% being attributed to African countries, leaving 4% to cover the USA and Europe, the UK contribution being a percentage of 1%. Predictably the standard response from HM Government to solve UK’s minuscule contribution is to introduce more legislation, whilst totally ignoring the fact the existing legislation if implemented would enable the UK to recycle the amount of plastics packaging waste required to meet the EU/UK targets without relying on exporting, which has been the case for the past 15/20 years. Introduced in 1997, and with it the PRN system – through which ‘producers’ would contribute the finances needed to develop the plastics recycling capacity in the UK to meet the EU/UK recycling targets. Compliance was by Packaging Waste Recovery Notes (PRNs) which were issued by an ‘Accredited’ Recycler for each tonne of recycled material produced. (This was not for each tonne of packaging waste processed). Initially the value of a plastics PRN was £140 -£170 per tonne, whilst not covering the major cost of recycling a tonne of post consumer recycle (PCR) plastics material it was a sound commercial contribution . For reasons never fully explained the Government then introduced Packaging Export Recovery Notes(PERNs),which are issued by an ‘Accredited’ Exporter for each tonne of packaging waste exported. This clearly was financially biased in favour of export, as a UK reprocessor will have a yield of only 60 – 80% of input and PRNs and PERNs had an equivalent value to an Obligated Producer. This allowing the financial contribution from the producers to be used to subsidize the export of obligated plastics packaging waste, when this happened it spelt the end of the PRN as a means to create a commercially viable plastics recycling industry in the UK. Since the introduction of the PERN between 60-70% of plastics packaging waste has been exported annually, this adds up to tens of millions of pounds which should have gone to the UK plastics recycling industry, but did not! Which is where we are today despite countless pleas to Defra via numerous consultation documents over a period of 20 years warning that the system of meeting targets by subsidizing exports would be in the long term be unsustainable. The recent turn of events in Far East has highlighted the total lack of insight by the UK Government. This lack of insight is not just with the UK Government, questions should be asked as to why the EU Commission via the European Packaging Waste Directive allows the exporting of packaging waste outside the EU as a means of meeting EU targets? An immediate contribution to addressing the issue in the UK is to remove the PERN and return to the PRN system where the finances supplied by UK producers goes towards plastics recycling in the UK. Or alternatively make the PERN of less value to an Obligated producer which would effectively depress the PERN price in favour of the PRN. There is of course no reason why plastics packaging waste cannot continue to be exported by competing in a free markets but without the UK producers subsidizing the UK exporters. The waste hierarchy is based on three basic fundamentals – Reduce, Re-use and Recycling all of which are covered by legislation introduced into the UK in 1999. Schedule 1 (Annex 11 of the Packaging Waste Directive) under Requirements specific to the manufacturing and composition of packages. such a way as to permit it’s reuse or recovery, including RECYCLING, in line with the waste hierarchy, and to minimise its impact on the environment when packaging waste or residues from packaging waste management operations are disposed of. Since the introduction of the Regulations there have been only been 7 prosecution in the UK over a period of 19 years! The responsibility with regard to enforcement lies with Trading Standards Officers who it is clear have failed to carry out their duties with regard to these Regulations. What is more intriguing is that TSO’s are the responsibility of the Local Authorities , who are under severe pressure when it comes to dealing with obligated packaging waste, which has become even more problematic with the growth of ‘on line shopping’ where efforts to ‘minimize the impact on the environment ‘ i.e. over packaging are being almost totally ignored. 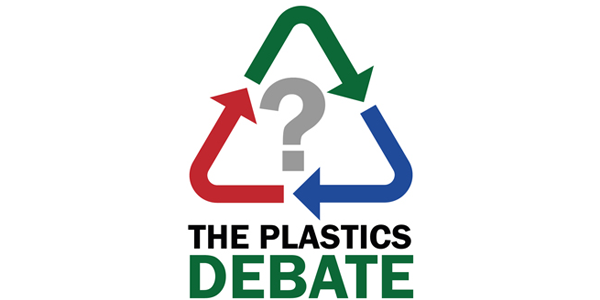 The Courtauld Commitment – The Ellen MacArthur Foundation and more recently – The Plastics Pact. The Courtauld Commitment whose main thrust was to conduct a programme of ‘light weighting’ of packaging , which in the main concentrated on ‘primary’ packaging, ignoring the fact that the Regulations requires ‘reduction’ to be addressed on primary, tertiary and transit packaging . Concentrating on reducing (light weighting) on the primary packaging only can and did result in the weight of the tertiary and transit packaging being increased to protect the lighter primary pack. In 2009 The Courtauld Commitment made a pledge to ‘introduce’ more post-consumer recyclate(PCR) materials into new packaging, nothing significant happened, for proof look around any Superstore. The two main items of packaging that contain PCR are HDPE Milk bottles and PET Water/Soft drinks containers, the development of the technology to introduce PCR into these two packaging systems had nothing to do with ‘the commitment’. The Ellen MacArthur Foundation – produced a document ” The New Plastics Economy Report” There was really nothing new in this plan, no new ideas, and despite over 40 industry leaders endorsing the plan there was no mention of the type of support those 40 companies would contribute towards creating a commercially viable post consumer recycling plastics industry. Design for Recycle was high on the agenda, but without the backing of the Brand owners and a radical change as to how Local Authorities handle obligated packaging waste, nothing will change and there is nothing in the report that suggests there is any commitment from the 40 plus organisations that are supporting the report. The issue of collection and sorting of obligated packaging waste was addressed and it was recognised that harmonization is the key to successful recycling, but no plans were included as to how this can be achieved. The issue of re-use in the retail market was addressed i.e. refilling home care products – shampoos, detergents, fabric conditioners etc, the idea of refilling at Supermarkets has been trotted out several times and has to date proved to be problematic, unreliable and messy. There is also the associated problems related to ‘legal issues’ such as who would be responsible if someone slipped on the ‘dribble’ from refillable liquids. Yet another tired old idea. With regard to creating end user markets for PCR plastics materials there appears to be no evidence in the report that those Brand owners who supported it are prepared to move towards a policy of adopting PCR in all new packaging. The Plastics Pact – In the aftermath of the ‘Plastics Pollution ‘frenzy a new group – The Plastics Pact has been formed, which appears to be an ‘invitation only’ group formed to solve issues relating to the lack of plastics recycling that is taking place in the UK and therefore reduce the UK’s over reliance on exporting plastics packaging waste materials in order to meet EU/UK recycling targets (which are based upon a fundamentally flawed system). Generating endless regulations will be useless unless they are enforced, therefore a far better solution to address issues relating to design for recycling, reduction (minimisation) , re-use and recycling would be to enforce the already existing legislation – The Packaging (Essential Requirements) Regulations ,the big advantage is – it does not require a ‘ self appointed group’ to run it, merely the funding for enforcement. When the EU Packaging and Packaging Waste Directive was introduced in 1994, a time was set of 2 years for the EU Council to introduce a common marking system for all EU Member States. When the decision came in 1997, it was voluntary not mandatory, which has resulted in a proliferation of recycling/identification markings, leading to much confusion to the public at large, following is an example of such a system . The OPRL system appears to be based upon the Local Authorities ability to collect a particular packaging material, it appears to ignore the fact that a material/packaging can be ‘recycled’, but because the Local Authorities do not offer a collection facility the packaging material will be classified as ‘Not yet Recycled’ giving the consumer the impression that the item is NOT recyclable. Is it realistic to expect a consumer to ring up their Local Authority to check if a particular packaging item is recyclable? Even with many LAs having a website with this information and/or distributing leaflets, the general public will take the easy route and make an assumption that could be incorrect. This is grossly misleading as what actually happens is that glass is widely collected. However, particularly with co-mingled collections, the collected glass is only suitable for landfill in disguise (also called aggregate) and the glass industry has big problems in recycling mixed cullet as there is a restricted end user market for the coloured glass in the UK. This system is little more that a flag waving exercise by the retail trade and very much open to mis-interpretation with composite packaging of different materials being described as ‘widely recycled’ , what would be a more beneficial symbol to promote recycling would be one indicating the percentage of post consumer recyclate (PCR ) material that had been used to produce the packaging, which could be used for all packaging materials and demonstrate to the public what happens to the recycled material.